Anthony Munoz, 17. Joe Nathaniel Smith,21. Mike Belman,32. SAN ANGELO, TX -- San Angelo Police officers arrested several suspects on public intoxication charges Monday. One was passed out in traffic in the driver’s seat and he had a firearm. BELMAN, MIKE, III- age 32 was arrested for PUBLIC INTOXICATION after Police were dispatched to the Walmart on W. 29th Street for the report of an intoxicated subject. HICKMAN, JONATHAN ANTHONY- age 43 was arrested for a warrant and subsequently charged with POSS MARIJ <2OZ after Police were dispatched to the Food King on S. Main for the report of an unwanted subject. 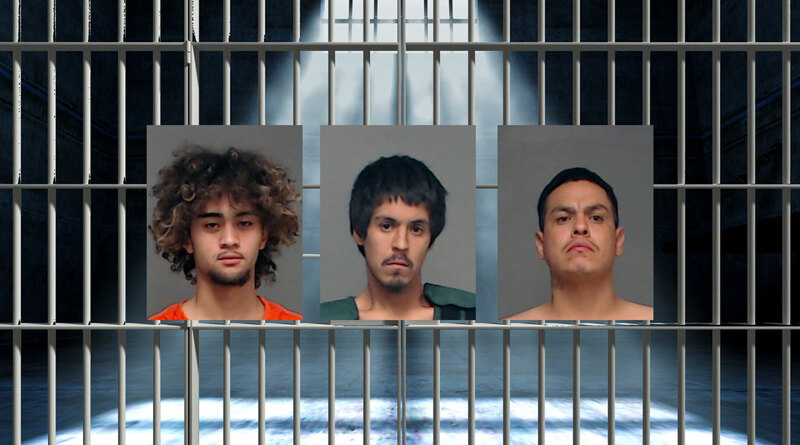 MUNOZ, ANTHONY- age 17 was arrested for UNL CARRYING WEAPON and DRIVING UNDER INFLUENCE after Police were dispatched to S. Chadbourne and W. Avenue Q for the report of a driver passed out in behind the wheel while in traffic. Munoz was carrying a firearm on his person. SMITH, JOE NATHANIEL- age 21 was arrested for a warrant for VOP*TERRORISTIC THREAT and was subsequently charged with POSS/DEL DRUG PARAPHERNALIA during a traffic stop in the unit block of Oxford Drive. TOVAR-MENDOZA, ISRAEL- age 20 was arrested for POSS/DEL DRUG PARAPHERNALIA during a traffic stop near Spaulding and Main. WATKINS, WALLACE WAYNE- age 59 was arrested for DRIVING WHILE INTOXICATED during a traffic stop near Pulliam and Main.